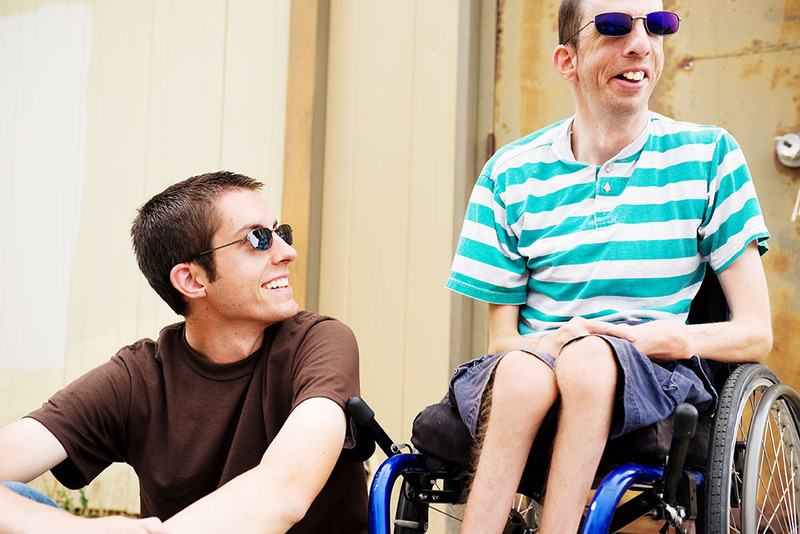 Become part of a growing network of adult siblings of people with intellectual/developmental disabilities and take advantage of up-to-date information, resources and training opportunities about issues impacting siblings every day! Siblings are important – in fact, siblings often have the longest relationship of their lives with each other. Yet siblings are often overlooked and sometimes even forgotten. This website is a resource focused specifically on siblings of people with intellectual/developmental disabilities. Self-paced online learning modules on future planning, sibling support & advocacy, and navigating the system. Sibling supporters - everyone who believes supporting siblings is important. This includes people with intellectual/developmental disabilities, parents and family members of people with intellectual/developmental disabilities, professionals, and friends and colleagues. You will become connected to siblings and sibling supporters. Join other adult siblings and share stories, concerns, and supports! This group is intended to be a safe, judgement free, space for adult sibs to gather and share. Please go to www.meetup.com and search for the SibsNY group. Dates, times, and directions are posted there. The group meets monthly at Snack NYC 316 East 53rd Street, New York, NY. Ring the buzzer at brown door for "Snack second floor offices" Please Contact Kristy Hartman at amysbigsister427@gmail.com anytime with questions. Anyone is invited to attend the events in person or online. Sessions are offered at no cost to current Partner members and Partner Graduates, and all Partners have an exclusive opportunity to extend the conversation over a light lunch with presenters after the workshop. Others pay a nominal registration fee of $25 for access to all 6 sessions, online or in-person! A national network that provides information and support to siblings of people with disabilities throughout the lifespan. The NY Chapter of the Sibling Leadership Network that is dedicated to providing the siblings of individuals with intellectual, developmental, and learning disabilities with information and support.